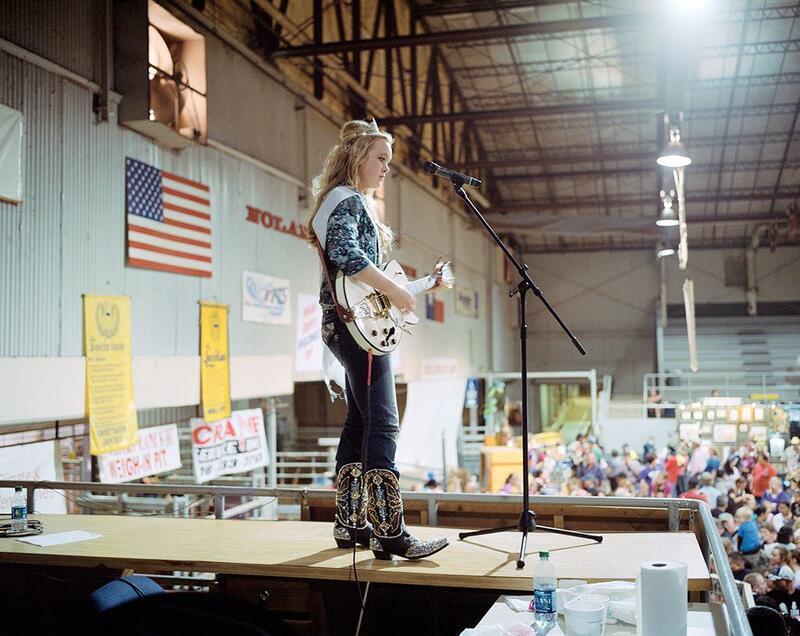 David Kasnic photographs the Sweetwater Rattlesnake Round-Up. After several failed attempts at finding snakes, hunters take out a rattlesnake from a previous hunt for entertainment. In March 2013, David Kasnic was in limbo: He was living in Bowling Green, Kentucky, where he’d gone to college, and waiting to start an internship at the Wall Street Journal in New York. It seemed like as good a time as any to photograph rattlesnakes. So, along with Ian C. Bates and Matt Eich (whose grizzly photos of Louisiana’s alligator industry we’ve featured on Behold), Kasnic headed to the 55th Annual Sweetwater Rattlesnake Roundup, the country’s largest such event. 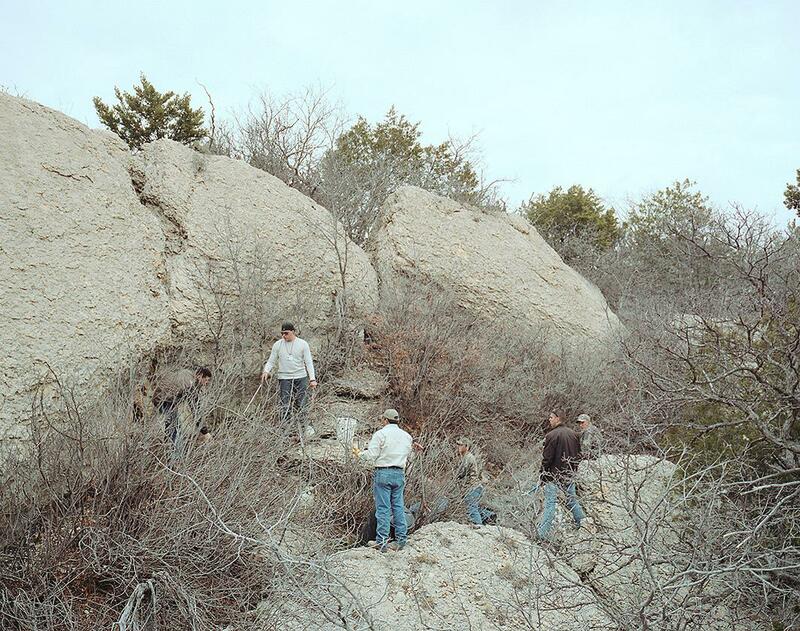 Hunters search for rattlesnakes inside a cave by spraying gasoline. 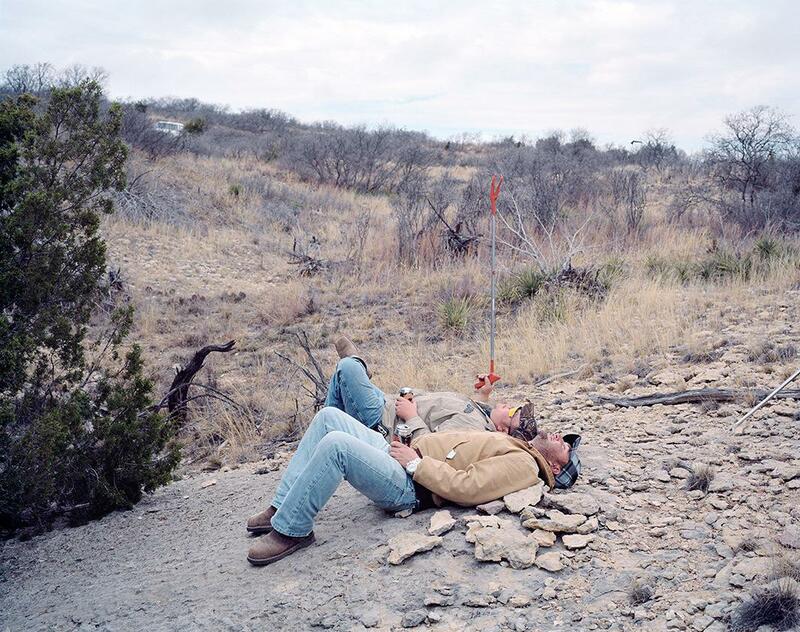 Hunters relax after a day of searching for rattlesnakes in the hills outside Sweetwater. 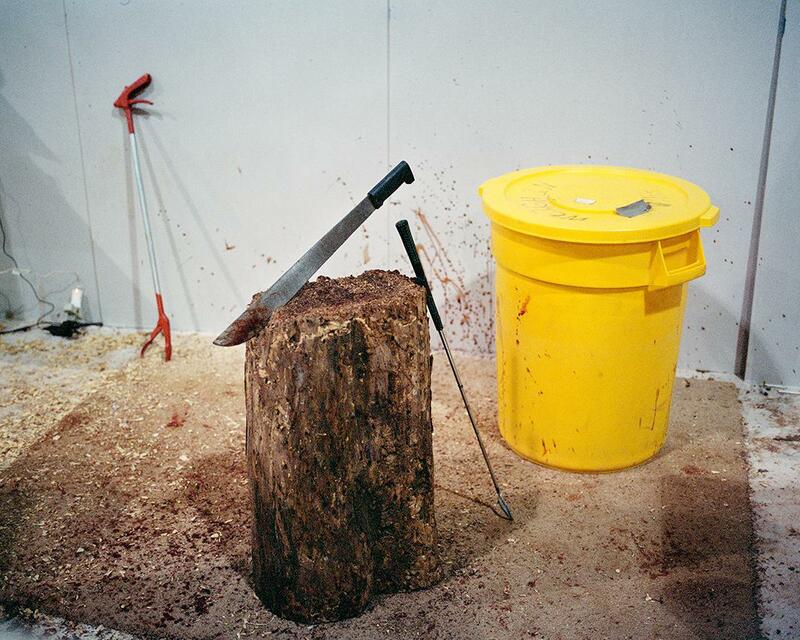 Rattlesnake meat after being skinned. 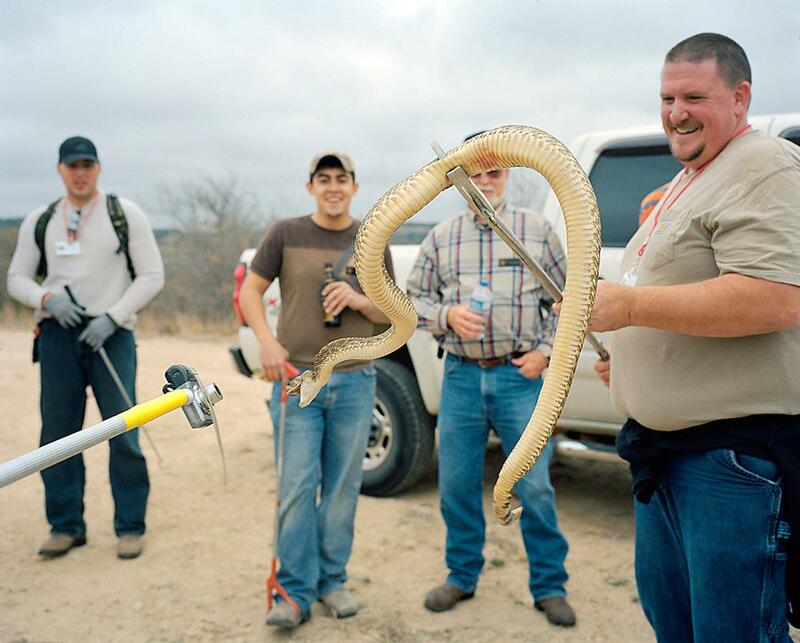 For more than half a century, the event has incentivized hunters to capture hundreds of snakes and bring them to the small town of Sweetwater, Texas, for skinning and eating. The event, which draws thousands from all over the world, brings millions of dollars to Sweetwater. But animal rights groups have criticized the killings the event condones, and environmentalists object to “gassing,” the hunting practice of pumping gas fumes in snake habitats to draw them out into the open. Rather than weigh in on that debate, Kasnic decided to focus on the carnival-esque elements of the event, like the Miss Snake Charmer pageant and the rattlesnake-eating contest. And generally, he was more interested in the people at the event than the reptiles. 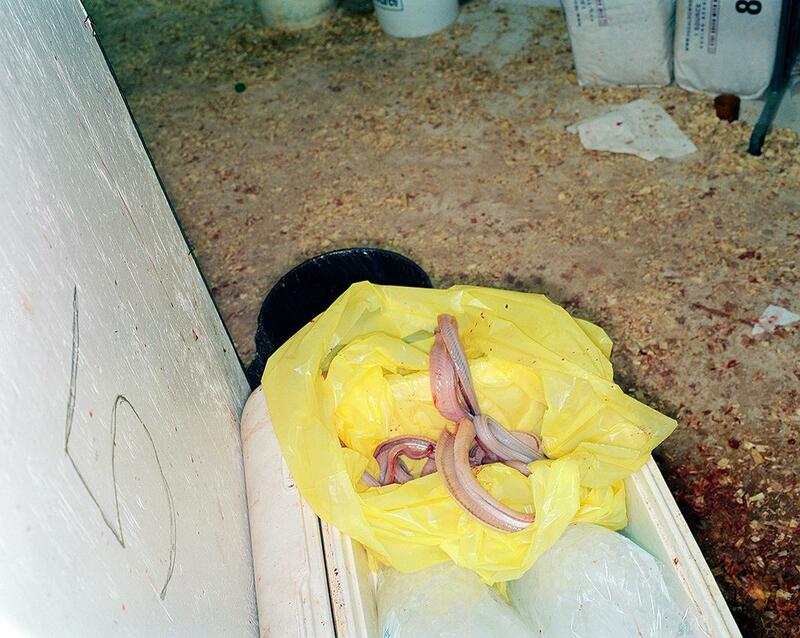 The slaughter station inside the Nolan County Coliseum, where snakes are decapitated and prepared for skinning. 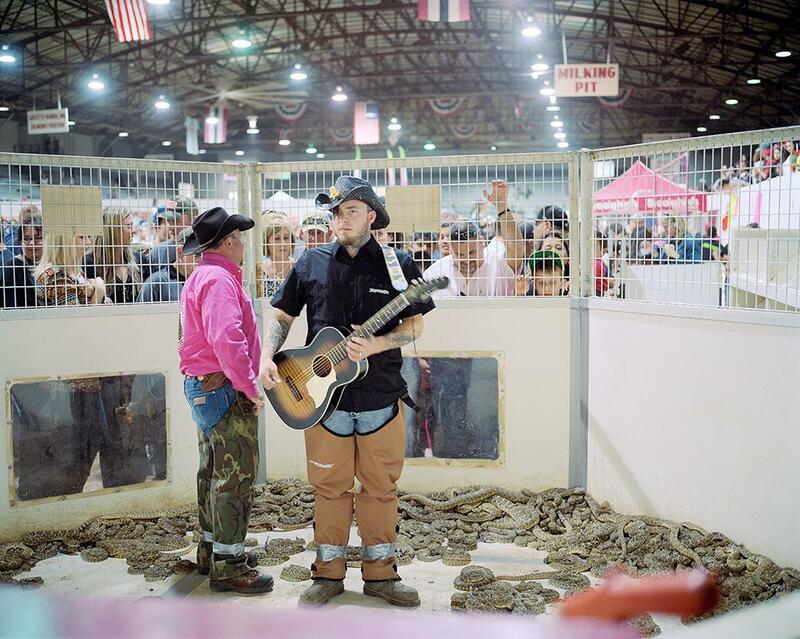 A musician prepares to perform in one of the snake pits at the roundup. Miss Snake Charmer 2013, Kyndra Vaught. Getting to know that culture involved driving out 40 minutes into “the middle of nowhere” to watch people drink beer and look for snakes and watching rattlesnakes getting “milked” of their venom during live demonstrations at the Nolan County Coliseum. It also involved, after much encouragement, tasting rattlesnake meat. 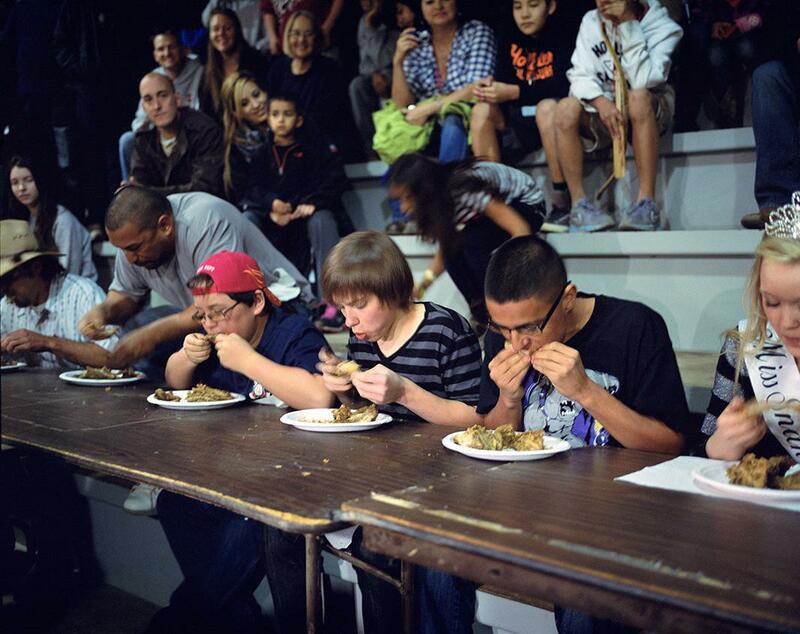 After the snakes are skinned, the meat is cooked in preparation for a rattlesnake-eating contest. 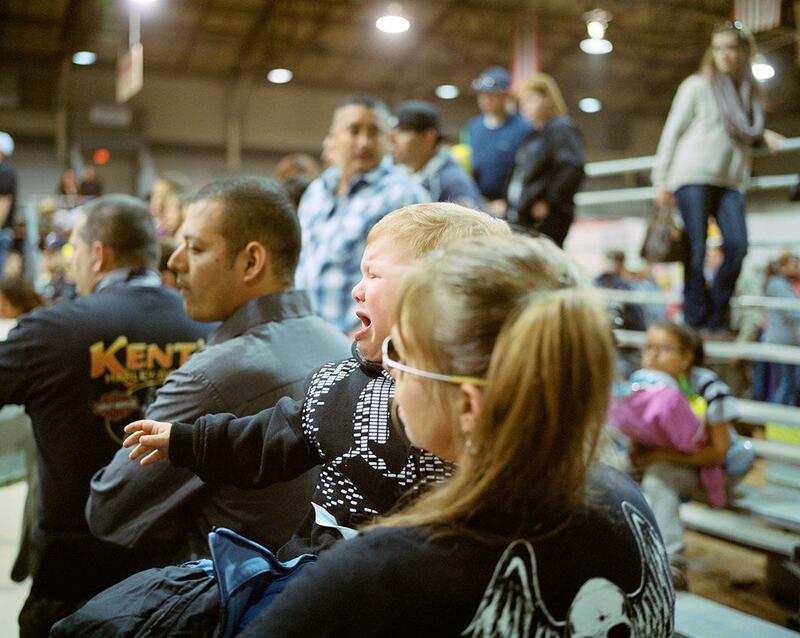 A young boy cries during a safety demonstration. 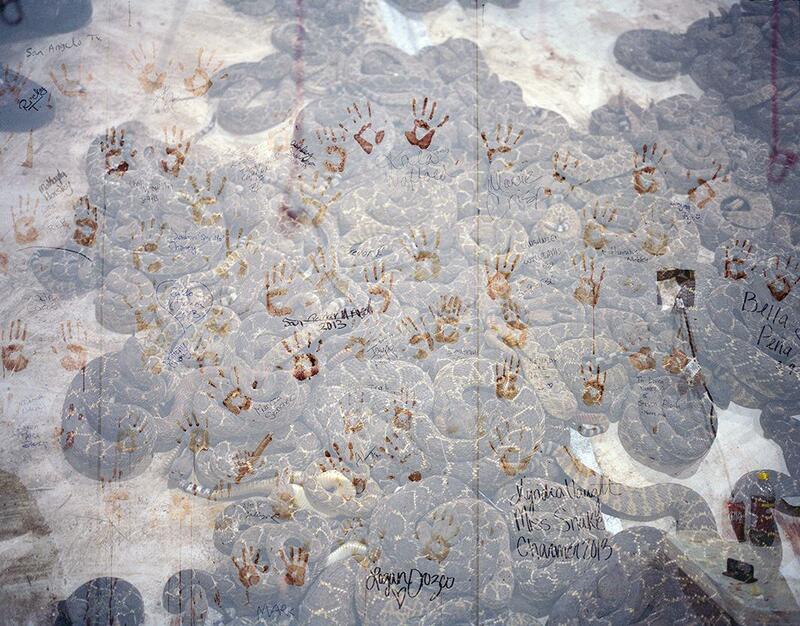 A double exposure of a rattlesnake pit and handprints on a wall made from snake blood.